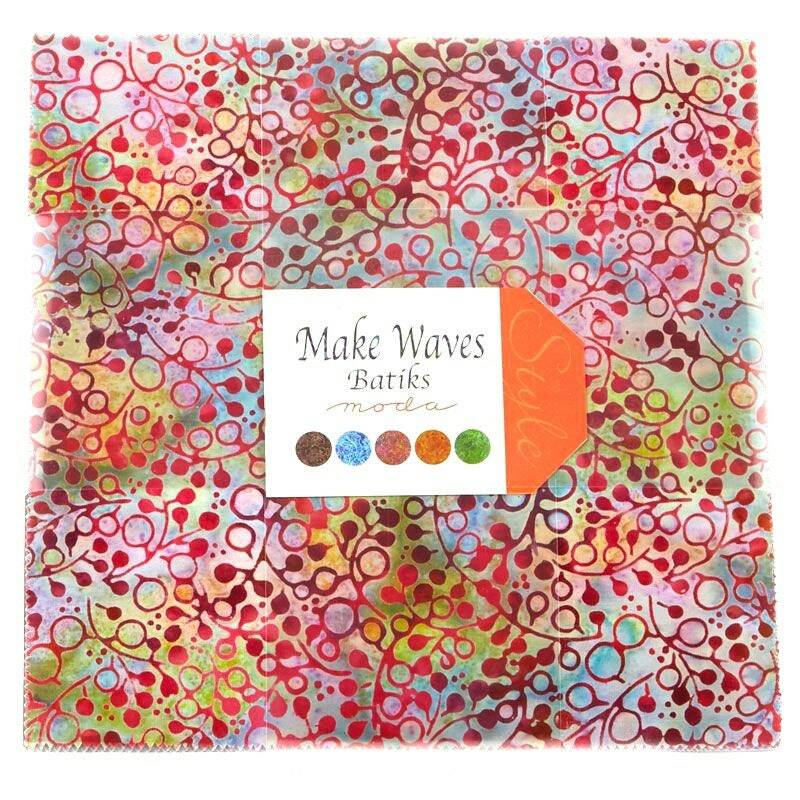 "Makes Waves" Batiks - 10- Inch Square Layer Cake byvModa Fabrics. 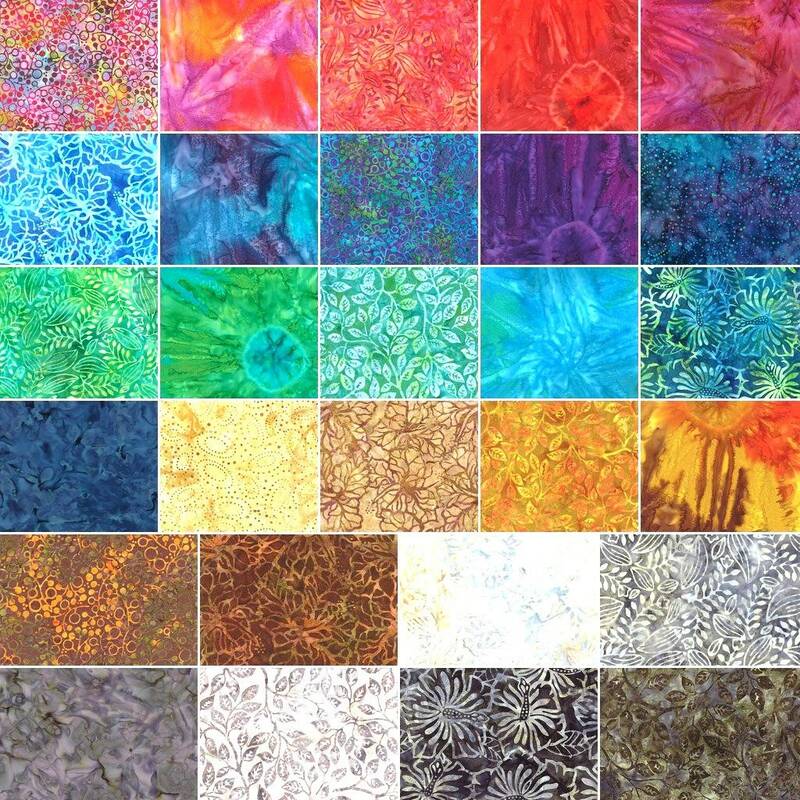 This luscious line of fabrics includes a rainbow of jewel tone colors. 40 10-inch squares. Some prints are duplicated. 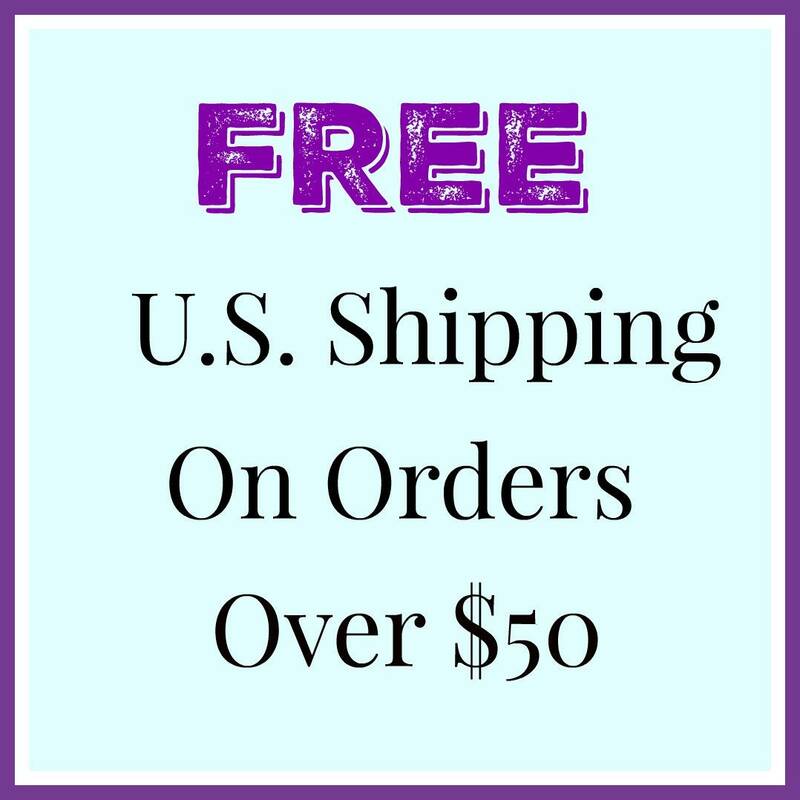 Professionally cut and packaged by Moda Fabrics.